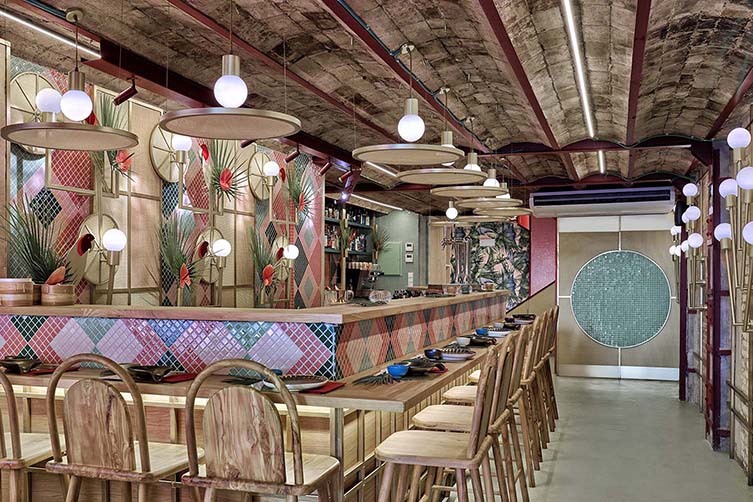 Fusing elements of Japanese and Brazilian culture inspired by owner Mireia’s love of surfing and all things Tropicália, Valencia’s Kaikaya is the ‘first tropical sushi restaurant in the city’, and a place where—according to Mireia—history and traditions of Japan blend with the exoticism of contemporary Brazil. 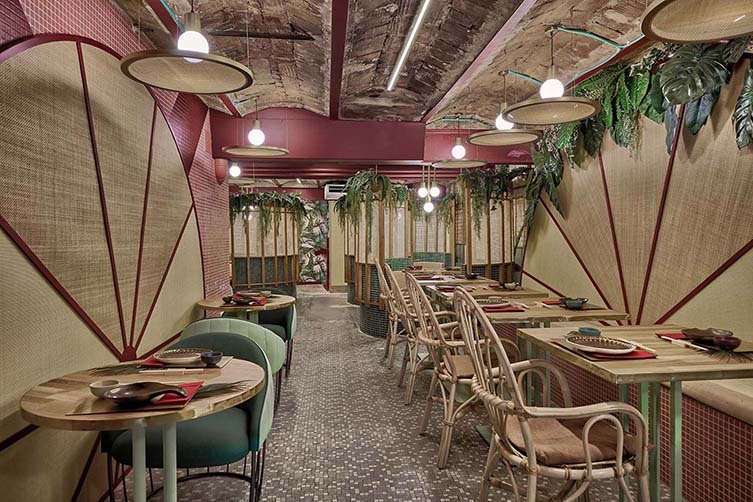 Sushi rolls, nigiri and sashimi are served alongside a selection of Nikkei cuisine, poke bowls, and cocktails—whilst a brunch menu features açaí, healthy smoothies, and toasts; all to be enjoyed in a space that local creative consultancy Masquespacio have designed with their signature flair, retina-tickling colours, greenery, and natural materials. 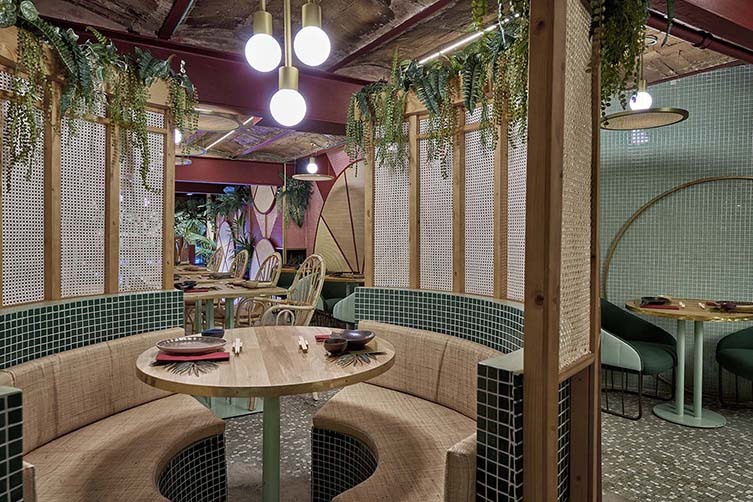 In what amounts to a tiki bar turned up to eleven and filtered through a 21st century lens, Kaikaya is a riot of tropical style led by Masquespacio’s typically joyful lack of restraint. 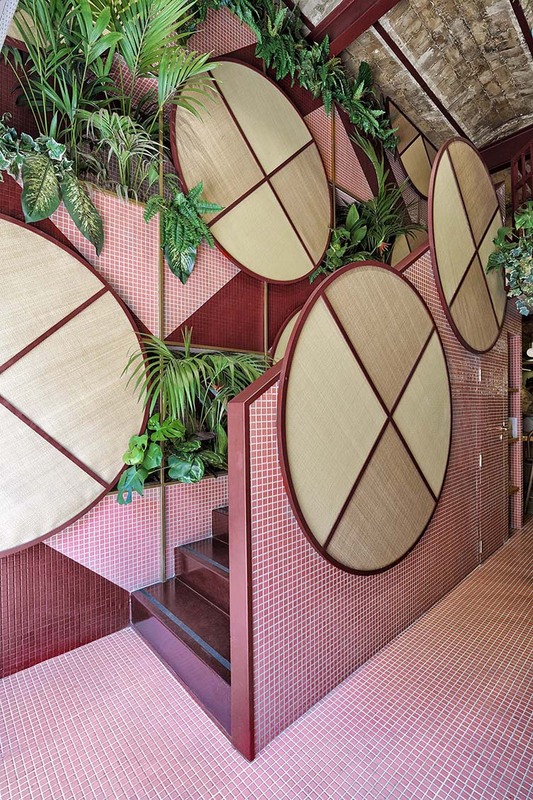 Highlighting the beauty of the building’s imperfections left by time, the emblematic venue was left in its original state where possible—meaning vaults and metallic beams remained and were complemented with an eclectic style that would serve to mix the most fanciful concepts of Japan and Brazil. 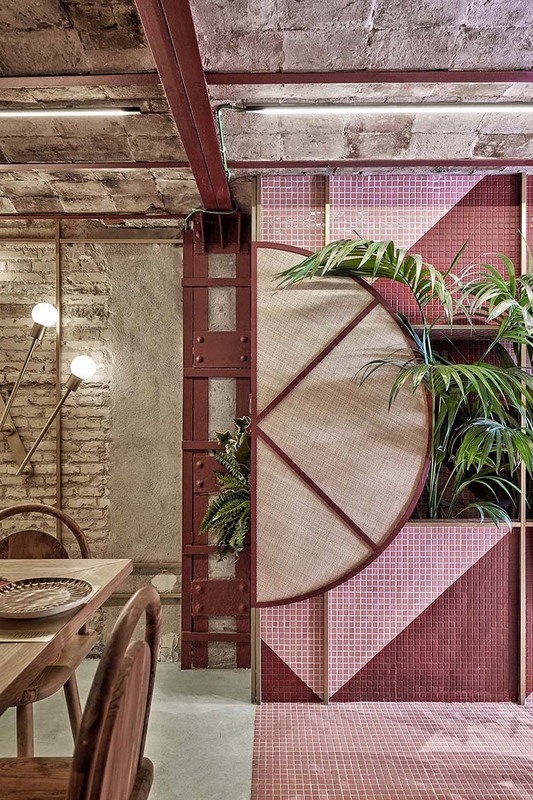 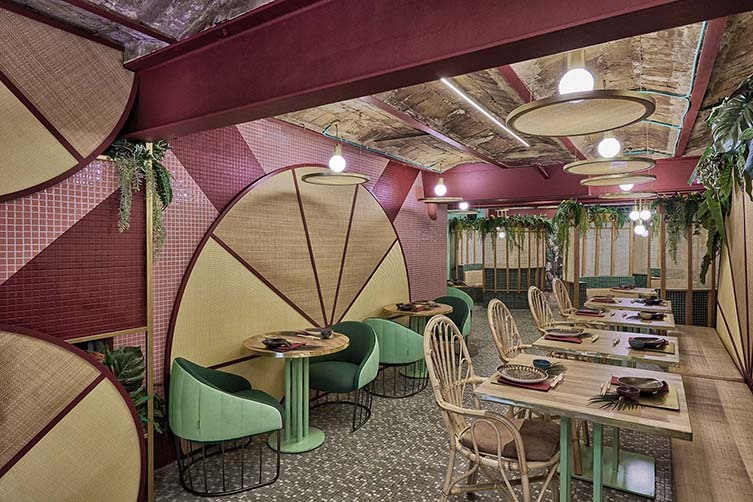 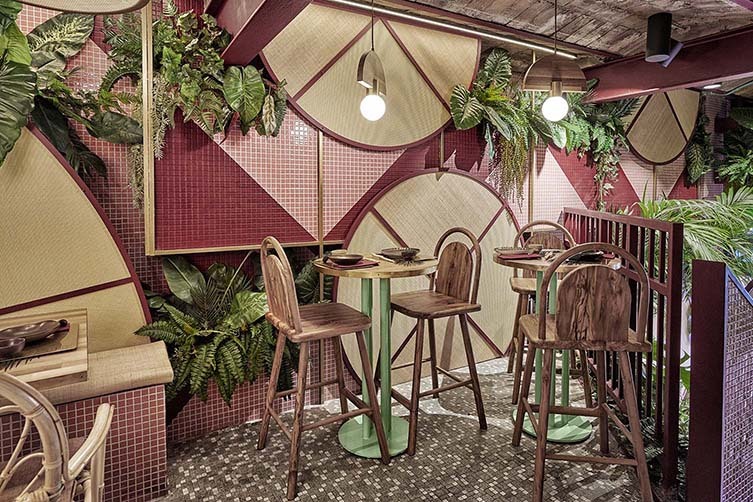 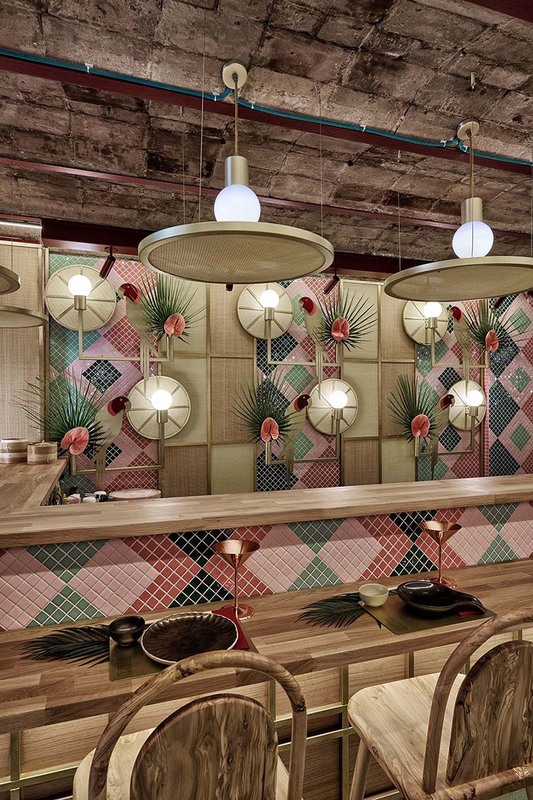 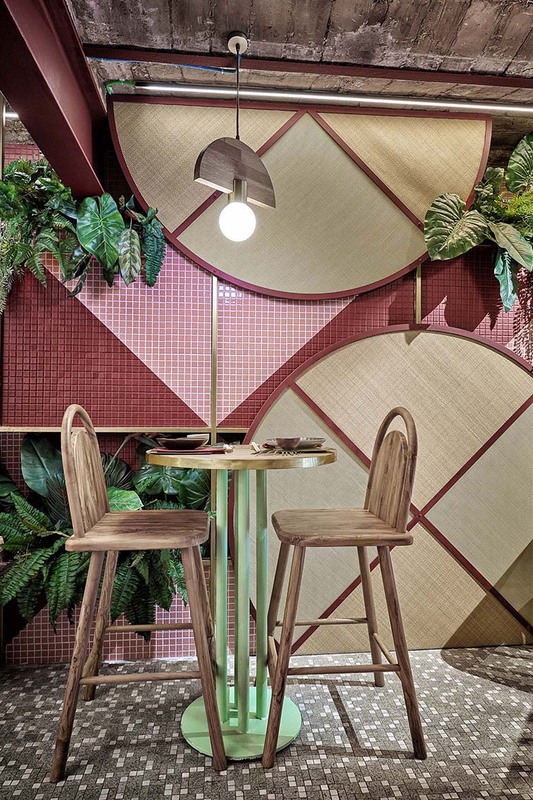 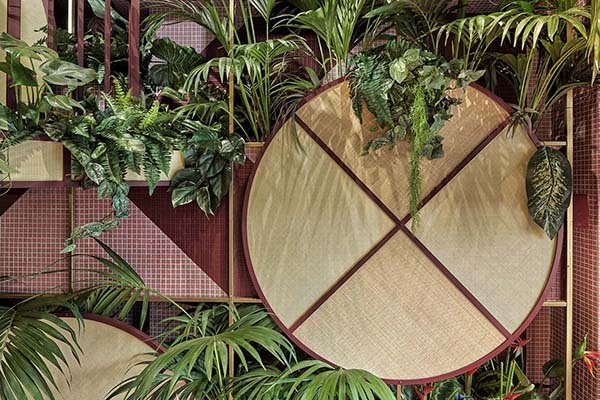 As mentioned, natural materials were used for the project, with wood and raffia featuring heavily alongside mosaic tiles, an abundance of plants, hyper-kitsch parrot lamps and major splashes of colour. 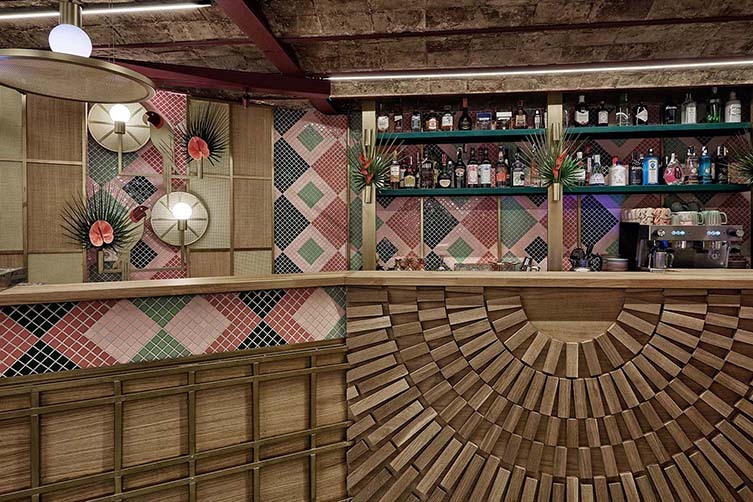 A diverse den of tropical influence, Mireia’s singular vision is a new leftfield gem for her native city.